The late Greer Moore-Barnes often referred to the 3P’s as causing the most contention in schemes: parties, parking and pets. The keeping of animals, reptiles and birds in community housing continues to be a topic that engenders much debate. In this blog we will look at municipal by-laws and what court precedents have suggested, as well as address some opinions on what scheme rules should contain with regard to pets. An owner or occupier suffering from a disability and who reasonably requires a guide, hearing or assistance dog must be considered to have the trustees’ consent to keep that animal in a section and to accompany it on the common property. Therefore the prescribed legislation now clarifies that dogs which assist disabled owners must be given consent to stay in a section and be on common property, which has similarly been recorded in previous judgements delivered in certain court cases. The rules are structured in a way that enables the trustees to set conditions that protect others rights to use and enjoy their units and the common property. Importantly, these conditions must be reasonable, and as we will see in the Lagune Ridge v Dorse court case below, a blanket or absolute prohibition could be considered unreasonable and give the owner grounds to challenge the matter. Trustees must, therefore, be seen to have applied their minds to the individual matter. The NMBM public health by-laws place restrictions on pet owners. Under the public nuisance by-law point 10 defines the duties of people who keep pets and deals with both the basic rights of the pet and nuisance issues to the surrounding community. Point 14 details that no more than two dogs and two cats may be kept on any premises without the permission of the municipality and points 19 and 20 deal with specific control issues relative to dogs. Another issue relative to animals has been the traditional or cultural slaughter of animals. Many schemes have included rules which either place conditions to, or prevent, the cultural or traditional slaughter of animals. In the absence of any specific rule relating to the matter, point 7 of the public health by-law states that cultural or traditional slaughter of animals must be done in compliance with the municipality’s policy related thereto. While I have heard numerous complaints from people in community schemes relative to roaming cats, and not as often about noisy birds, the most notorious court cases usually seem to be about dogs. I have summarised below three court cases relative to pets in community schemes. 1. Body Corporate of the Laguna Ridge Scheme N.O. 152/1987 v Dorse 1999 (2) SA 512 (D). (23 October 1998). In this famous case the scheme’s rules allowed pets on the trustees’ written consent. The trustees denied consent because they felt Laguna Ridge, consisting of 18 stories and 65 flats, was unsuitable for pets and therefore their general policy was to deny applications and thereby had created a precedent. The owner of the miniature Yorkshire terrier in question made a counter-application requesting permission to keep her pet, which did not cause a nuisance to anyone in the scheme. The court found that the trustees were motivated by irrelevant considerations (precedent) as opposed to relevant ones, being that the dog did not form a nuisance. Indeed, it was found that the denial was so unreasonable as to warrant the inference that the trustees had failed to apply their minds. The court accordingly granted the owner of the Yorkshire terrier leave to keep her pet subject to certain conditions. This case emphasised the importance of trustees applying their minds to the individual circumstances of each case and not merely relying on general principles or precedence. 2. Buffelsdrift Game Reserve Owners Association v Holkom and Others (58258/2013)  ZAGPPHC 789 (7 July 2014). In this case the association’s constitution did not allow domestic cats or dogs, except where motivated by a disability of the owner / occupier. However, certain owners had kept domestic cats or dogs; some for longer than a period of eight years. The association applied for a final interdict obliging the owners to remove these domestic animals. The court dismissed the application with costs stating that the association did not prove adequate harm or injury should the order not be granted and that by not applying the rules for an extended period, in the one instance for over eight years, tacit consent had been granted and the association had therefore waived its right to seek legal recourse. 3. Abraham and Another v Mount Edgecombe Country Club Estate Management Association Two (RF) (NPC) (7124/12)  ZAKZDHC 36 (17 September 2014). Here it was argued that the owners of a Saint Bernard puppy had been advised by a representative of the association that pet approval was a mere formality. However, the rules limited the size of dogs to no more than 20kgs. In the end the court ordered against the applicants and advised the owners they had 3 months to remove the dog from the scheme. The judge advised that the representative was not proven to have any authority to bind the association to a relaxation of the rules and further that the association did not have the discretion to go against the rules, except in the exceptional case presented by guide dogs for the blind. The owners were therefore held to the contract they voluntarily entered when becoming members of the association. These three court cases highlight the importance of treating each case on its merits, ensuring timeous address of any perceived breach and always ensuring you are aware of the rules of the scheme you buy into. Estie Kretschmer in an article found on Paddocks blog titled pets and property prices in sectional title schemes, argues that pet friendly legislation increases owner’s property values and is in accordance with the spirit of the Sectional Titles Act. Kretschmer references PetsinTheCity.net.au where it is noted that people in Australia are prepared to pay 5% to 10% more for property where they are able to keep their pets and estate agents are reported as confirming a 50% increase in buyer interest on properties that are pet-friendly. She argues that Australia is similar to South Africa and that even our legislation has been adapted from Australian strata title legislation. 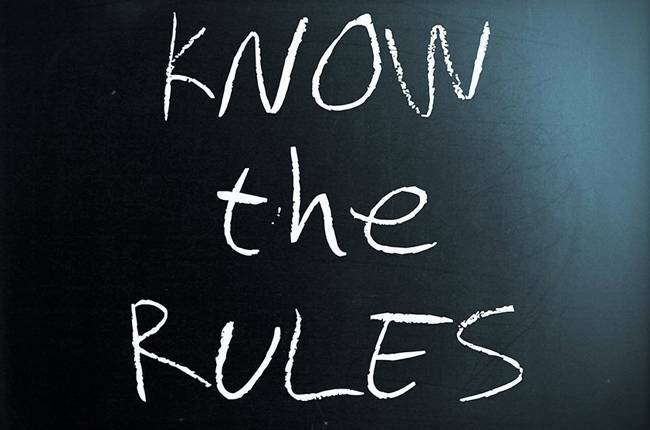 We have therefore established that both the by-laws and scheme rules place restrictions on owners and occupiers. Where the trustees or executives are entitled to use their discretion in approving pet applications they must take care that any denials have a reasonable basis. Where schemes have amended their rules to note no pets, associations and bodies corporate must be careful that tacit consent is not implied through delayed action. On the other side of the coin, owners and occupiers must be very careful of the legal principle caveat emptor(let the buyer beware) and ensure that they read the rules relevant to the scheme they buy into or bind themselves to through a lease agreement.